Kenya's Rita Jeptoo successfully defended her Boston Marathon title on Monday with a course-record 2 hours, 18 minutes and 57 seconds. 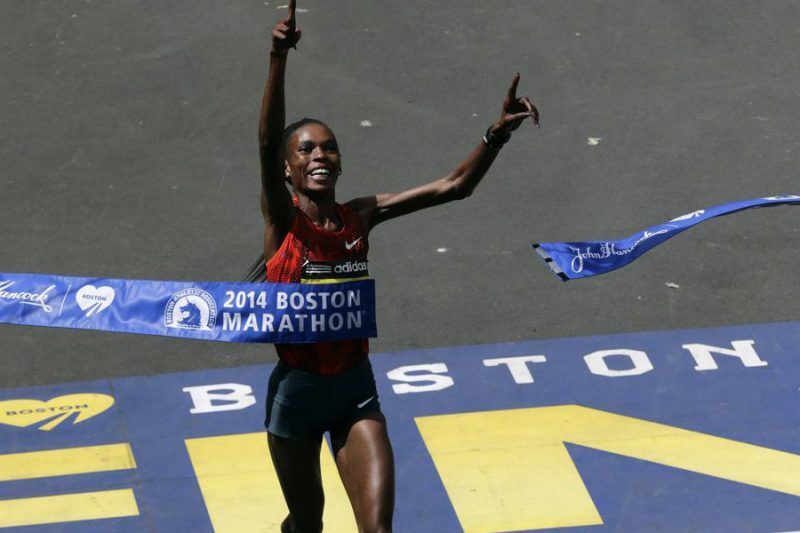 The 33-year-old Kenyan star became the seventh three-time Boston Marathon champion and finally was able to celebrate, after a race she said she could not enjoy a year ago after the fatal bombings. Jeptoo, who was chasing her third victory here after wins in 2006 and 2013, broke away from a group of five runners at the 23-mile mark, then promptly blistered a 4:48 mile to shatter the course record of 2:20:43 set by Kenya’s Margaret Okayo in 2002. Ethiopians Buzunesh Deba and Mare Dibaba, also broke the previous record by finishing in 2:19:59 and 2:20:35 respectively. Even the woman who came in fourth, Jeptoo’s training partner Jemima Jelagat Sumgong, broke the mark with her time of 2:20:41. Overall, the top 10 female finishers all ran the fastest time for place in the history of the Boston Marathon, with American Desiree Linden’s 10th-place time of 2:23:54 more than three minutes ahead of the previous fastest time recorded for that spot. Rita Jeptoo later complained that she was not feeling well at the start of the race. Ernst Van Dyk of South Africa won the men's wheelchair division of the 118th Boston Marathon in a time of , his 10th victory in Boston.